Arizona Cardinals cornerback Patrick Peterson visited Moon Mountain and Hartford Sylvia Encinas Elementary Schools on Tuesday to reveal his sixth and seventh ‘Patrick’s Corner,’ a community outreach program of the Patrick Peterson Foundation for Success, whose mission is to provide low-income and inner city youth with opportunities and resources to reach their full potential. Sponsored by Sanderson Lincoln and Integrated Healthcare Strategies and in collaboration with Scholastic Book Fairs, a division of Scholastic, the world’s largest publisher and distributor of children’s books, the sixth and seventh ‘Patrick’s Corner’ are furnished with bookshelves, beanbag chairs, a reading module, a stereo listening center and an audio library and will provide access to 1,200 age-appropriate books and a dedicated area where students and their families can read, learn and explore together. The Patrick Peterson Foundation for Success also sponsored its ‘Pick Out a Book’ Scholastic Book Fair and provided each student with a reading certificate to select a new book from among 4,000 titles to take home to help build home libraries and foster a lifelong love for reading. Peterson introduced his sixth and seventh ‘Patrick’s Corner’ and ‘Pick Out a Book’ book fair at a press conference and ribbon-cutting ceremony. Following the reveal, Peterson visited with the students. 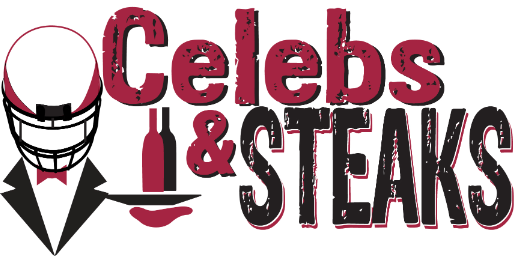 Community outreach programs like ‘Patrick’s Corner’ and ‘Pick Out a Book’ book fair are made possible by fundraisers like Patrick Peterson’s Celebs and Steaks, which will be hosted on Monday, November 14 at the Omni Scottsdale Resort and Spa at Montelucia. Peterson and his Cardinals teammates will mix and mingle with 250 guests during a cocktail reception that will be followed by dinner and live and silent auctions. Sponsorships and tickets can be purchased online at patrickpeterson.org. Single standard tickets are available for $300 per guest, while single premium tickets are $400 per guest and include an Arizona Cardinals Signature Series Football for autographs. All tickets include hors d’oeuvres, a three-course meal and wine as well as tax, gratuity and valet service. Outside memorabilia is prohibited. For more information about the Patrick Peterson Foundation for Success, the Third Annual Celebs and Steaks or to purchase sponsorship packages and tickets, please visit: patrickpeterson.org.